The Echelon pillow cover is a beautiful touch to any room. 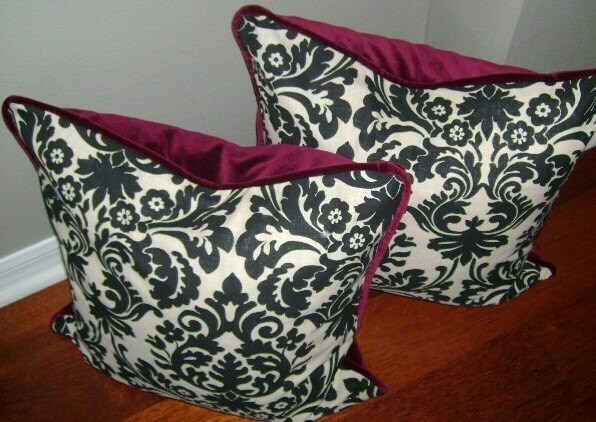 The front of the pillow is a black and oatmeal damask print with a maroon velvet back. 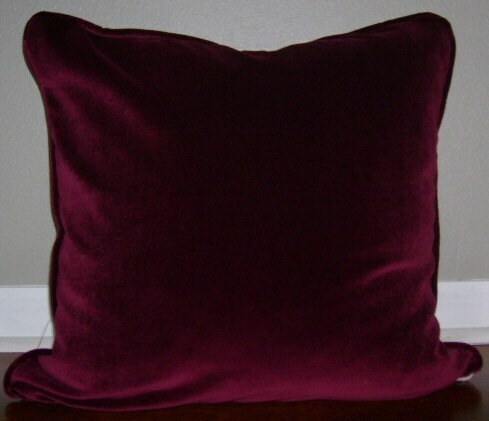 The pillow is finished with a maroon velvet piping and an invisible zipper on the bottom for easy cleaning. For only $12 more I can add a down feather insert! 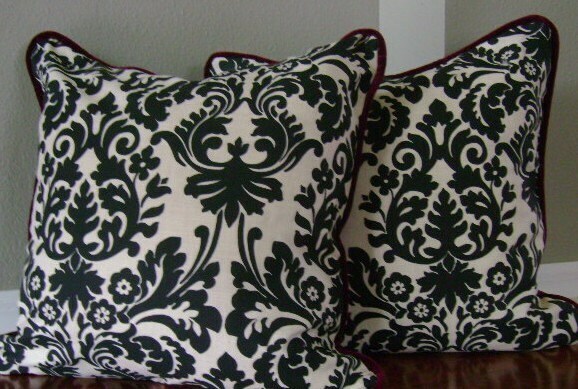 ALL OF THE FABRICS IN MY DRAPES SECTION CAN BE MADE INTO PILLOW COVERS ALSO. JUST MESSAGE ME FOR DETAILS. Care: Pillow cover zips on and off at the bottom seam and can be washed inside out, in a delicate cold water cycle and then hung to dry. Cool iron inside out on silk setting.